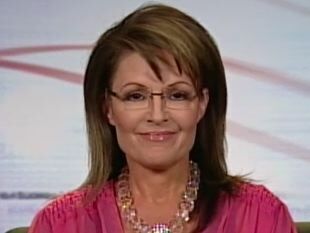 Palin Supporter Responds to Katie Couric: In Your Dreams! Would you accept to do a second interview with a reporter whohad a clear agenda of personal destruction, cut about six hours of footage to intentionally portray you in a negative light-and thengot rewarded for it? Why would you visit the same reporter who had the PRIVILEGE to be a pioneer with her own evening news program, only to be cancelled because nobody cared to watch her? Why interact with a reporter that showed contempt to you, did not have a hunger nor a curiosity for the truth, and mislead the audience and those that wanted to know more about you, yet what they took away from that interview was a crass attack to a “renowned” journalist with a lifelong career? Would you, Katie want a round with a Journolist that destroyed your reputation, helped change the message and molded it to accommodate a narrative of Katie Couric that is not correct? While all these questions are valid since any reporter worth their salt these days won’t stop and consider that what they do is crucial for Americans as a service and as honest, serious portrayal of national and world news, there’s a clamor for Governor Palin to decline the bait and switch and avoid Couric’s wishes to quench her ratings thirst.